Free WIFI. 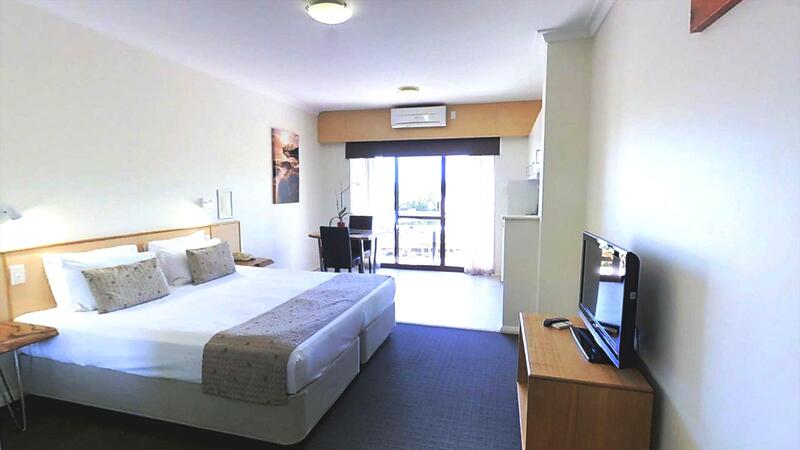 The Studio Apartment with queen bed is ideal for the single traveller or couples, some have ocean views, others over look the resort gardens or the superb bushland setting of the Leewin Naturaliste National Park. 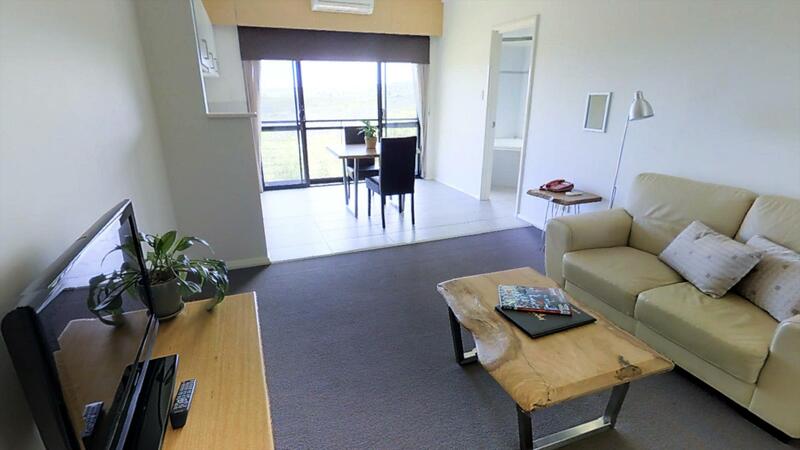 This self contained unit has a kitchenette, table sitting area and bed all in one open style room. Relax and enjoy the sound of the ocean over the balcony or downstairs patio. Children 2 years and under are free of charge if sharing existing bedding. Cots are available @ $10 per stay. Highchairs are Free Of Charge. Accommodation is not serviced daily. Free WIFI. Special Access Studio Apartment (Wheelchair & disabled) Hotel, open style accommodation with King size bed in front of LCD TV. Kitchenette with bar size fridge, microwave and 2 burner cooktop and small dining suite. Separate bathroom, washer and dryer. Accommodation is not serviced daily. All accommodation is non smoking. All accommodation is fully self contained -not serviced daily. Free WIFI. The 1 Bedroom Spa Apartment with queen bed is the ideal accommodation for a romantic weekend getaway. Sleeping up to 2 people.These apartments have a corner Spa, 2 seater couch in front of the TV and a kitchenette. Children 2 years and under are free of charge if sharing existing bedding. Cots are available upon request @ $10 per stay. Highchairs are Free of charge. Accommodation is not serviced daily. Free WIFI. Offers spacious, modern accommodation for families of up to 4 or 2 couples sharing. 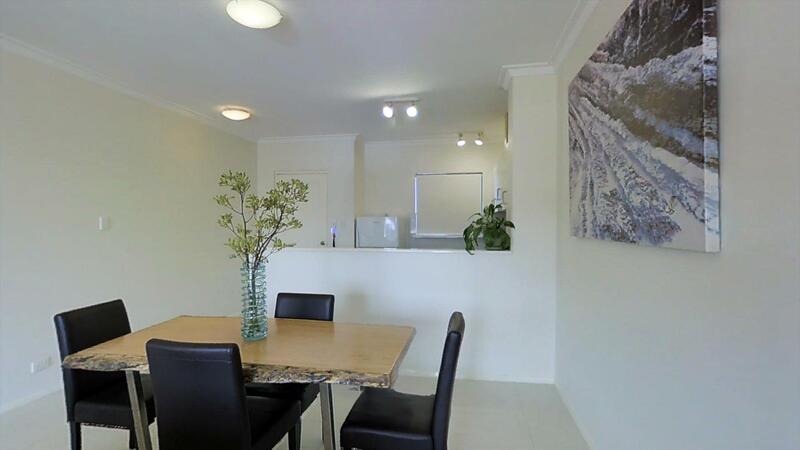 Fully self contained kitchen, 6 seater dining table and 2 x 2 seater couches in living area. Bedding preferences MUST be specified upon booking or no guarantees can be made. Option of: 1 Queen bed and 1 zip-King bed OR Queen bed and 2 Singles Beds. Cots are available @ $10 per stay. Highchairs are Free Of Charge. Free WIFI. 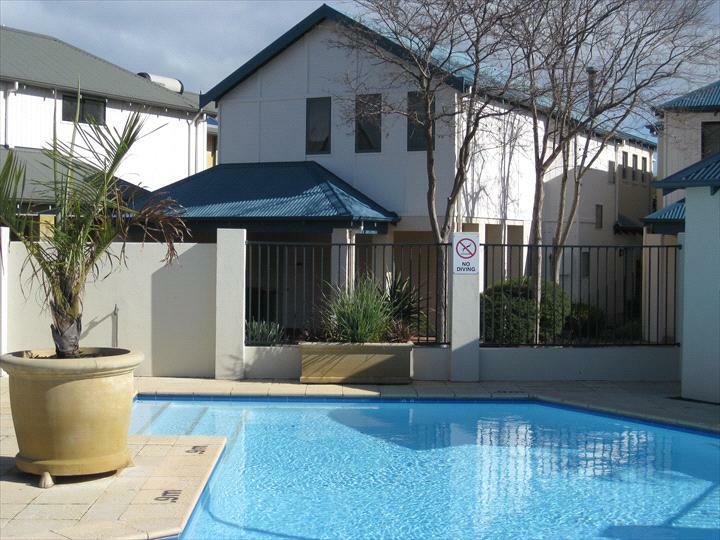 Special Access -2 Bedroom Apartment (Wheelchair & disabled) Spacious family style accommodation that sleeps up to 4 persons. 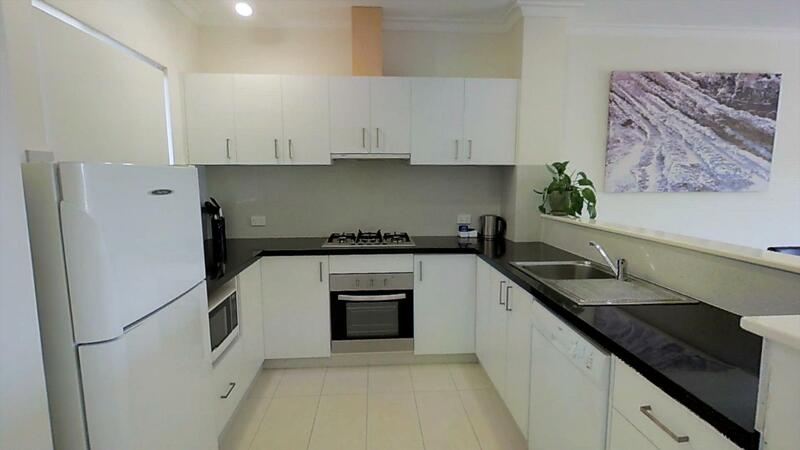 Full size kitchen with dishwasher, microwave, oven, separate dining / lounge area. Washer and dryer in bathroom. Make sure you specify upon booking your bedding preferences or no guarantees can be made. Choice of: Queen and zip-King bed OR Queen and 2 Single Beds. All accommodation is non smoking. All accommodation is fully self contained -not serviced daily. Free WIFI. 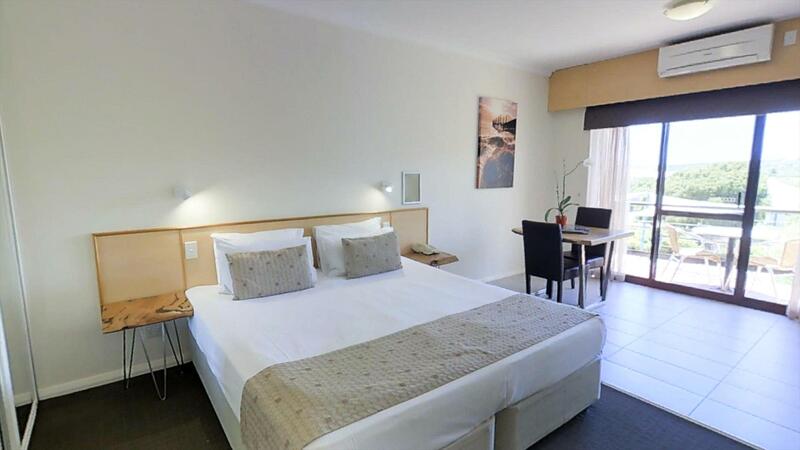 Offers spacious and modern accommodation for families up to 4 or 2 couples sharing. Fully self contained kitchen area, 6 seater dining table and 2 x 2 seater couch in living area. Bedding preferences MUST be specified upon booking or bedding can not be guaranteed. Choice of: 1 Queen Bed & 1 zip-King Bed or Queen & 2 Singles. Cots are available @ $10 per stay. Highchairs are Free Of Charge. Free WIFI. The Two Bedroom, Two Spa Townhouse offers the perfect accommodation for an indulgent getaway or a relaxing holiday. Sleeping up to six people, this split storey accommodation provides glimpses of the ocean and a spa bath in each bedroom! Cots are available on request at the cost of $10 each per stay, high chairs, available free of charge. Bedding MUST be specified upon booking or no guarantees can be made. Choice of: 1 x Queen bed & 1 zip-King bed OR Queen bed & 2 Single beds plus a double sofa bed if required. Maximum guests 6. Cots are available @ $10 per stay. Highchairs are Free Of Charge. 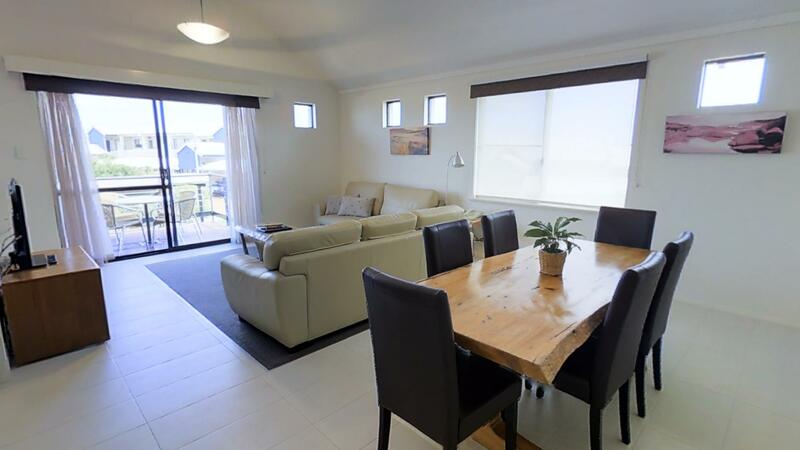 Our largest style of accommodation, the Beach House is the perfect option for family or small groups. 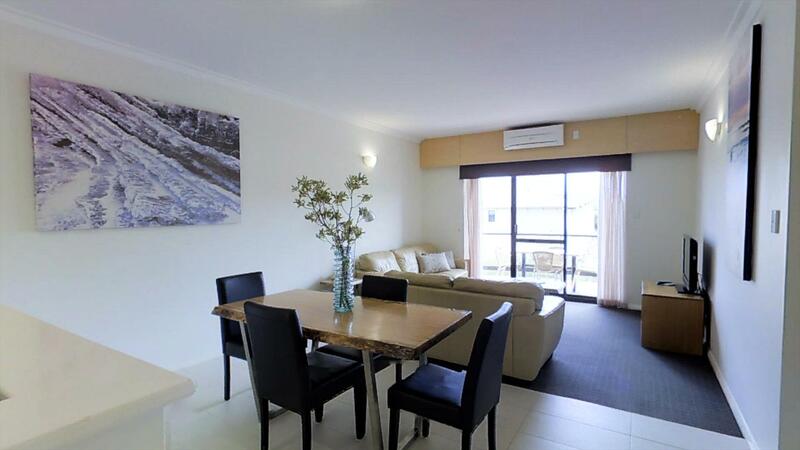 Queen bed in the main bedroom upstairs with ensuite and full kitchen, living areas and balcony. Downstairs are 3 bedrooms and another bathroom and toilet. Bedding MUST be specified upon booking or no guarantees can be made. Bedding options: Queen, 2 x zip-King, 2 Single Beds OR Queen, 1 x zip-King bed and 4 Single Beds OR Queen and 6 Single Beds. Cots are available @ $10 per stay. Highchairs are Free Of Charge. TERMS & CONDITIONS Upon receipt of "Booking Reservation Confirmation"from Agent this booking is classed as a confirmed booking by Margarets Beach Resort therefore cancellation policy is active from that time. CANCELLATION / NO SHOW POLICY For reservations cancelled more than 48 hours prior to arrival date no charges will apply. For reservations cancelled within 48 hours of arrival 100% of the booking will be charged. Once checked in the full value (100%) of the booking will be charged upon cancellation. No Shows will incur the full value (100%) of the booking being charged.